Showing quite a bit of label damage. 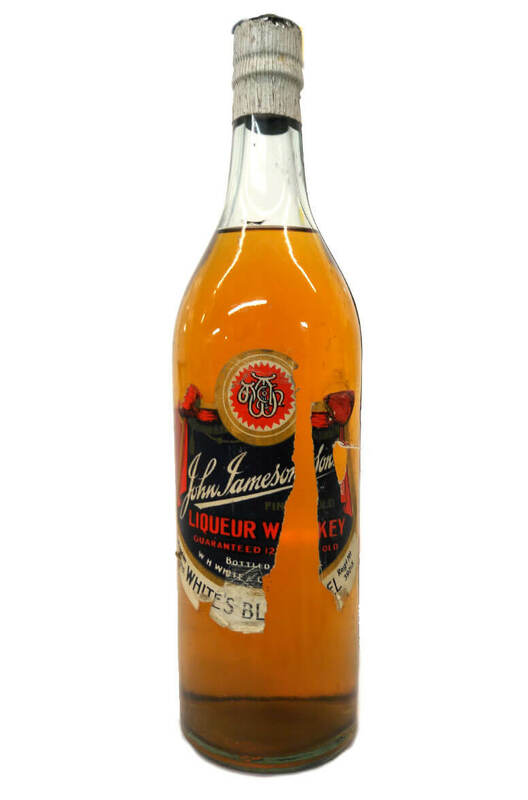 This is a Jameson 'Liqueur' Whiskey that was bottled by Whites under their blue label. Liqueur in this case just means that it is of superior quality and does not imply amy sweetness. Please note that the capsule on this bottle is damaged and the driven cork is exposed.